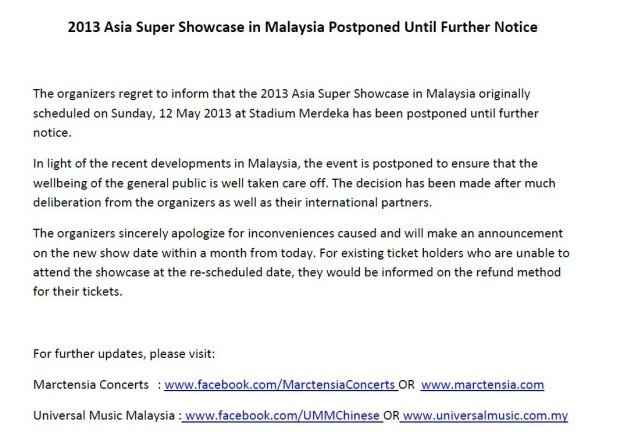 2013 Asia Super Showcase in Malaysia is Postponed. Marctensia, the producers for the event released an announcement on their Facebook page a few days ago. Now, all ticket holders need to wait of their further information about this concert.